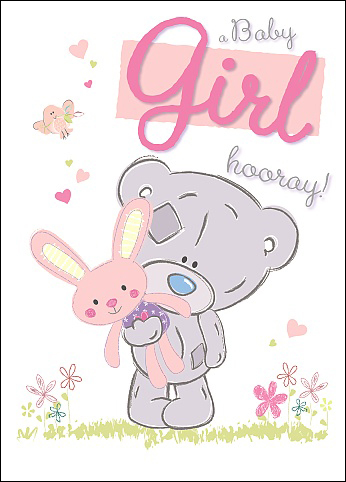 Kort tekst: A Baby girl, hooray! Tekst indeni: A beautiful baby girl to brighten every day. So happy to hear your news. 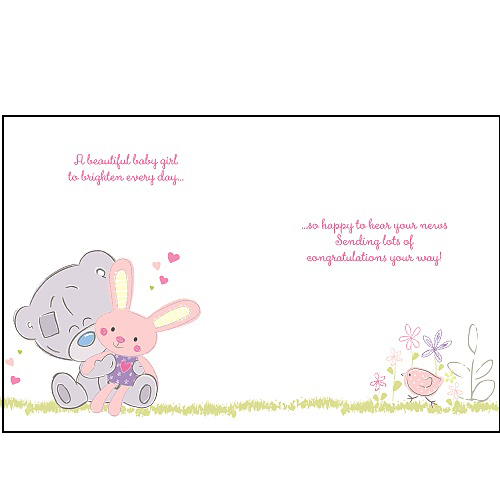 Sending lots of congratulations your way!